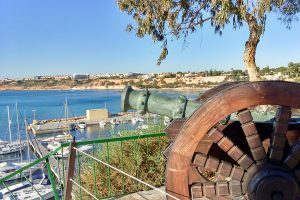 ORIHUELA COSTA | WITH SUMMER 2018 just around the corner, we thought this would be the perfect time to highlight our favourite things to do for children on the Orihuela Costa this year. With the new year well underway, thoughts are turning to summer holidays later this year. An early Easter will make for a long summer season here in Spain, and early-bird sunseekers are expected to arrive during the second week of March. Fortunately, the South Costa Blanca is full of fun things to do for the young ones, with local tourist destinations offering plenty of attractions catering for a youthful audience, while parents and grand parents can enjoy time in the sun with their children. 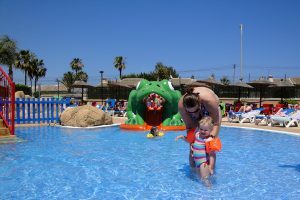 A golf course might not be your first port of call when considering where to take your children for a fun day out, but Las Colinas is packed with plenty of facilities suited to young children. 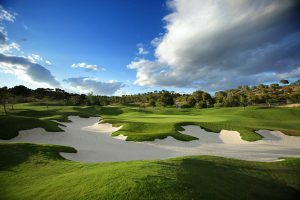 In addition to it’s first-class award winning 18 hole championship golf course, Las Colinas offers tennis courts, bike hire, and 3 km’s of spectacular nature trails that snake through Mediterranean woodland around the course. Las Colinas also hosts an International Falconry School where you and your children can spend some truly magical time with these majestic wild birds. 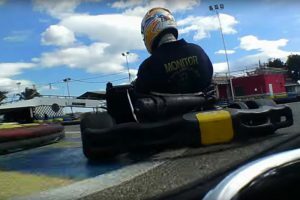 Perhaps nothing will wear out the little ones more than a frenzied afternoon of fun-packed adrenaline-fuelled racing action. This particular local attraction is immensely popular all year round, and with one of the largest tracks in the area and great value prices it’s easy to see why. 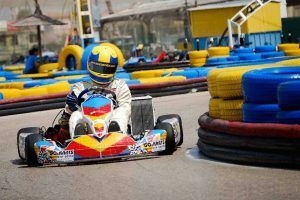 It is one of the more exciting things to do, but parents need not worry, the venue is super-safe and well marshalled by a dedicated team of monitors on and off the track. 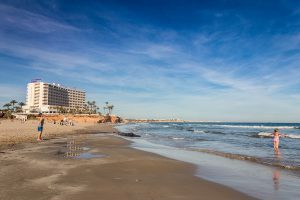 La Zenia is home to not one, but two beaches. 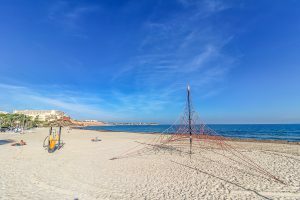 The main La Zenia beach is large enough that, even in the height of summer there’s plenty of space for everyone. It’s a great choice for a family day out, with warm safe waters and Blue Flag accreditation certifying the cleanliness and clarity of the beach and it’s facilities. During the summer months the local town hall provide lifeguards and watersports, including jet-ski rental and other water skiing. 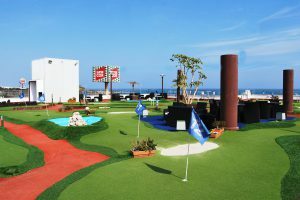 Rooftop mini golf anyone? 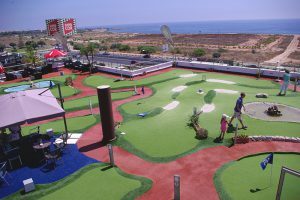 The spectacular La Mosca Mini Golf centre is a relatively new addition to the Orihuela Costa entertainment roster. The concept is a simple one, with the added twist that the fairways occupy a rooftop setting overlooking the Mediterranean Sea. There’s plenty of shaded areas to relax out of the sunlight, with a full bar serving drinks for children and adults alike. Sporting one of the largest outdoor swimming pools in the local area, Bar Jardin offers old fashioned family friendly fun in the sun. Kids (and grown-ups) will enjoy frolicking in the water all day long, and the super-safe baby pool is huge, surrounded by ornamental toads, slides, and water toys. As the name might suggest, the on-site facilities include a full bar, and a cafeteria provides a menu of great value food that’s popular with families looking for things to do on a budget. 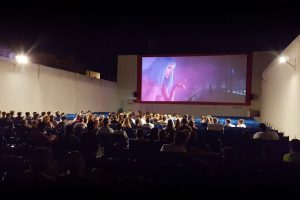 Quite literally “The Cinema of Summer”, Cine de Verano in Cabo Roig is an open-air outdoor cinema that opens only during the summer months. The cinema shows family friendly up-to-date popular movies in addition to classics from Pixar and Walt Disney, with a heavy emphasis on animated movies. 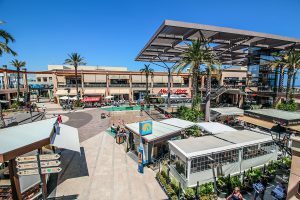 Zenia Boulevard packs more than 100 national Spanish and international shopping brands in to an American style shopping mall centered around an Italian style Piazza. 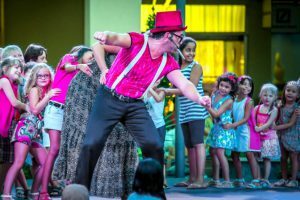 But the mall is more than just the Costa Blanca’s favourite shopping centre, and Zenia Boulevard offer live music performances and events year round. During the summer months the venue offers daily entertainment for children, in addition to a bowling alley, a video arcade, and play fountains in the main square. When it comes to budget things to do, Campoamor takes the biscuit. Three kilometres of unspoilt white sandy beach lapped by clear Mediterranean waters. Several bars and restaurants provide food and drink along this part of the coastline, and slides and climbing frames provide entertainment for children. The beach features an elevated walkway offering some wonderful sea views, and rock pools provide plenty of opportunity for kids to explore the local wildlife. Bucket and spade optional. 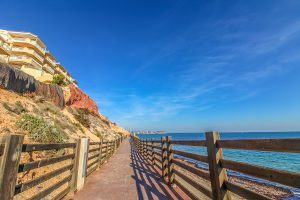 It’s actually possible to cycle for many miles along the Mediterranean coastline, and the Orihuela Costa area has one of the longest off-road dedicated cycle lanes in Spain. It’s one of our favourite things to do, it’s cheap, safe and family friendly too. It is a great way to explore the local area and stop by hidden beaches and coves that you might not have otherwise found. No bike? No problem. 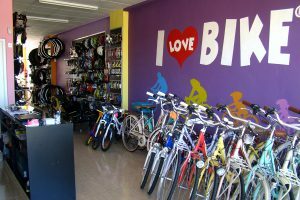 I Love Bike in La Zenia specialise in hiring out bikes for all sizes and ages. Hire a bike for a day or a week with budget prices and a choice of different styles of bicycle. For the adventurous they even offer tandem bike’s too! Have we missed any? Let us know your favourite things to do in Orihuela Costa, just add your comment below. Photo credit: Las Colinas Golf / La Zenia Community Website. Flamenco show in the Orihuela Costa hotel during Summer months, great space for families. Water fountain in La Zenia Boulevard. Bring a change of clothes, some flip flops and a towel.!!!! The various playgrounds to enjoy. Of course! Thanks for your suggestions Nicola. WHY have the sun beds and toilet facilities gone from the beaches in the area? I can understand the beach bars had to close (such a shame) but sun beds and toilets are needed on the beaches. I bought a house here last year as The beaches appealed to me but not anymore. Regular holiday makers will stop coming and go elsewhere with a proper beach set up with beds and toilets on the beaches.